Since it opened in September, the Beijing Internet Court has accelerated hearing times and improved efficiency. Unlike most of the trials Liu Shuhan handled in the past, which consumed large amounts of time and energy, the judge in Beijing concluded a case in just 40 minutes last month, and the litigants didn't even have to show up in court. The hearing-a dispute over an online shopping contract-was conducted online, so the plaintiff and defendant addressed the court via electronic screens. The innovative trial was held at the Beijing Internet Court, where all the procedures-including case filing, evidence exchange, hearings and delivery of verdicts-are conducted online. "Thanks to the new way of conducting hearings, I can handle about 50 cases a month. That's double the number I could hear before," said Liu, who has worked for the court since it opened in September. "Solving cases online can save time and expense for litigants (as they do not have to travel to the court), while improving judicial efficiency and transparency." With more than 800 million internet users nationwide, e-commerce disputes and online infringements have clogged China's courts in recent years. 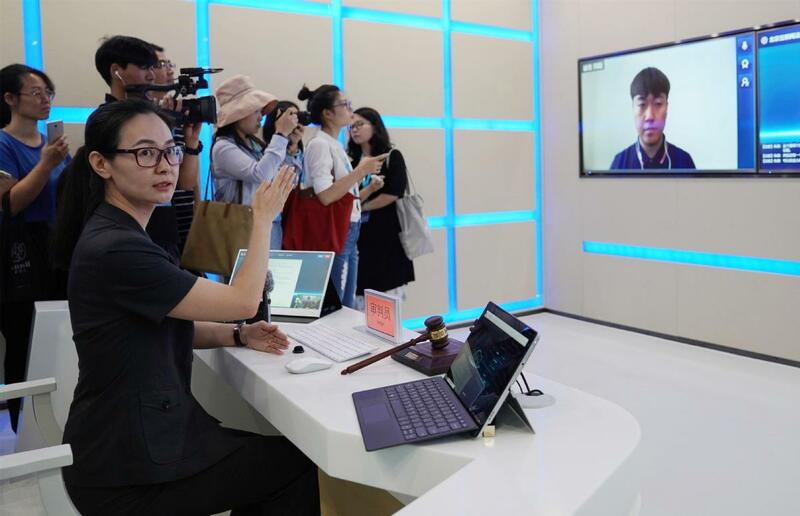 In response, the first internet court opened in Hangzhou, capital of Zhejiang province, in 2017. Last year, Beijing and Guangzhou, capital of Guangdong province, followed suit. A recent guideline from the Supreme People's Court, the country's top judicial body, stipulated that online courts would be responsible for hearing internet-related disputes, such as those regarding online loans, purchasing contracts and copyright issues, along with cases involving intellectual property rights. In February, the top court issued its judicial reform plan for the next five years. The document stated that the dissemination of verdicts online, which has worked effectively in the internet courts, will be extended to more tribunals to cut delivery times. Gao Zicheng, a lawyer in Beijing, praised the convenience cybercourts bring to litigants, adding that the quicker a dispute is resolved, the better justice can be upheld. However, Ma Yide, a professor who specializes in intellectual property rights at Zhongnan University of Economics and Law in Hubei province, expressed concern, saying the scope of internet courts should not be expanded too quickly. Ma said the use of technology and the internet in litigation should be conducted prudently to prevent judicial data from being hacked and to ensure that online hearings are handled in a seemly manner.